In 1965, the Skipton to Ilkley line was closed by Dr Beeching. 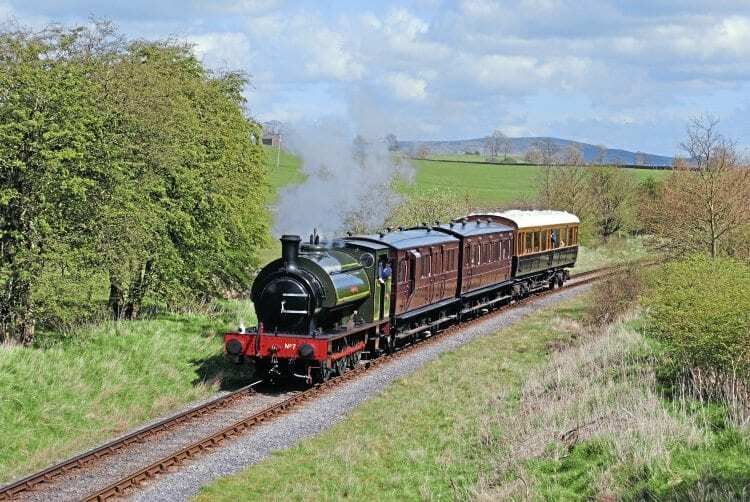 The line reopened 16 years later as the Embsay & Bolton Abbey Steam Railway and has gone from strength to strength. It is now bidding to reach Skipton. Mark Smithers tells the story. 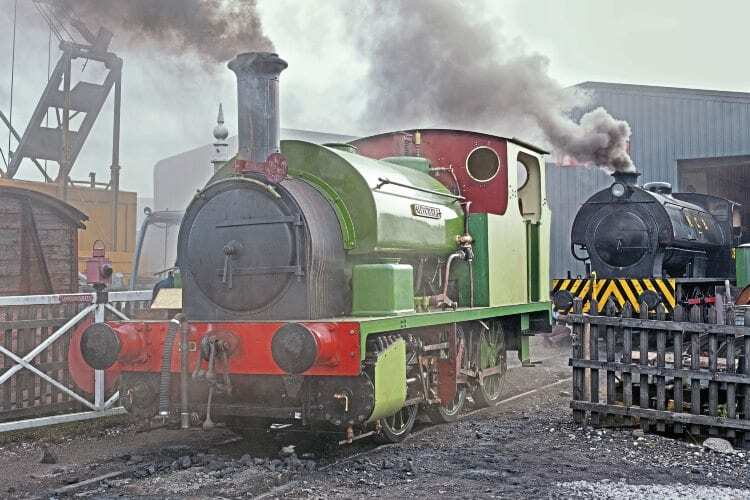 IN LESS than four decades of operation during the preservation era, the Embsay & Bolton Abbey Steam Railway has made a great deal of progress from its humble beginnings. The current line originally formed part of the Midland Railway’s route from Skipton to Ilkley, opening in 1888 and then closed by British Railways in 1965. 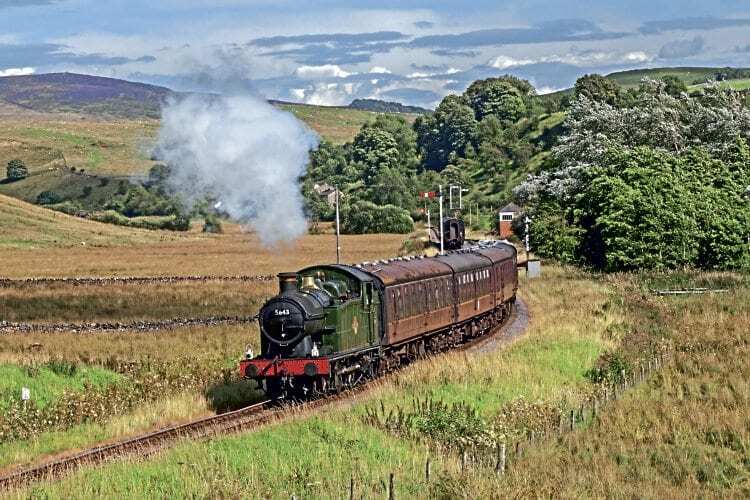 Tentative action towards a revival of at least part of the route took place during the 1970s, and out of these efforts came the formation of the Yorkshire Dales Railway Trust, the present railway’s owning organisation. This was followed by the acquisition of a Light Railway Order in 1979 and the restoration of Embsay station, which reopened in 1981, along with provision of loco run-around facilities at a point to the west of the station close to the site of Embsay Junction. Here, a connection was made (then still in place) with the Skipton to Grassington line. This latter route, closed to all passenger traffic in 1969, remains in place to serve Swinden limestone quarry, between Rylstone and Grassington. The existence of the junction allowed the volunteers to operate a special DMU service between Skipton and Embsay in 1982, but the connection was lifted shortly afterwards. By 1987, the line had been reinstated between Embsay and Holywell Halt, while Bolton Abbey station building – which had suffered a fair deal from a period of dereliction – was restored to re-create its MR appearance, at least as far as platform one and associated buildings were concerned, in time for reopening in 1998. This station also features a Midland signalbox salvaged from Guiseley, with the current running line being slightly more than four miles. 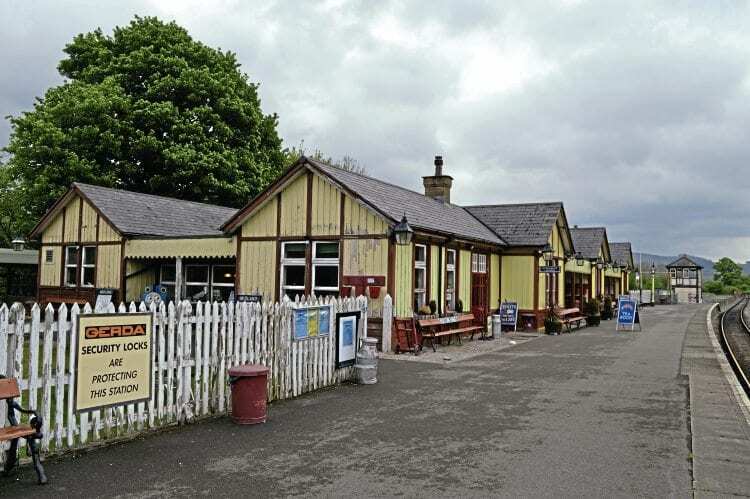 The original platform one station buildings at Embsay have been sympathetically restored externally, but nowadays the ‘main block’ performs the functions of bookshop, gift shop, buffet and toilets, while the weighbridge building has also been restored. New ticket office and waiting room facilities have been erected on platform one. These were obtained from external sources, namely Barmouth station and Ilkley station, respectively, the latter having begun life as a cabman’s shelter. Unlike Bolton Abbey station, the footbridge linking the platforms survived, restored during the preservation era, while on platform two (next to the run-around facility) the original waiting room now contains a photographic and artefact display relating to the line’s pre-preservation days. The signalbox, sheds, workshops and coal dock, none of which are normally open for public access, are situated to the Bolton Abbey side of Embsay’s main station area.